Nassau, Bahamas - Announced today on Reality Check on Guardian Radio, Bahamian activist, community organizer and recording artist Terneille "TaDa" Burrows is offering herself for candidacy as an independent Member of Parliament for the Elizabeth Constituency in New Providence. Shortly after her announcement, she launched her social media page on Facebook. Burrows (TaDa) is an international award-winning recording artist and songwriter. 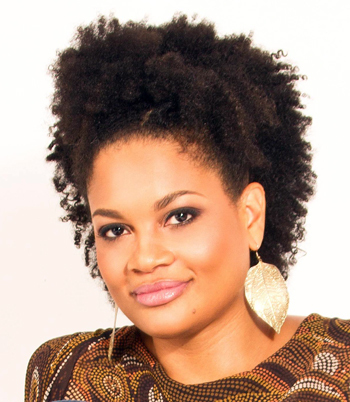 She is an activist and the founder of the Rise Bahamas movement, and Bahamas Against Sexual Violence & Child Abuse. She previously hosted, ArtOvation radio show on Star FM and has gone on to hose Rise Radio. She also-hosts Reality Check on Guardian radio on Tuesdays. Burrows is the recipient of the Bain & Grants Town Advancement Association - Youth Leader Award (2015); the John Lennon Songwriting Contest, Hip hop category - Grand Prize (2000); and a Caribbean Gospel Music Marlin Awards.